All permission forms must be sent to permissionslip.cvgsu@gmail.com for review BEFORE sending them to the parents to sign. Click the form you wish to download. Please remember, not all are fillable and may be multiple pages. Keep for reference and refer to often. 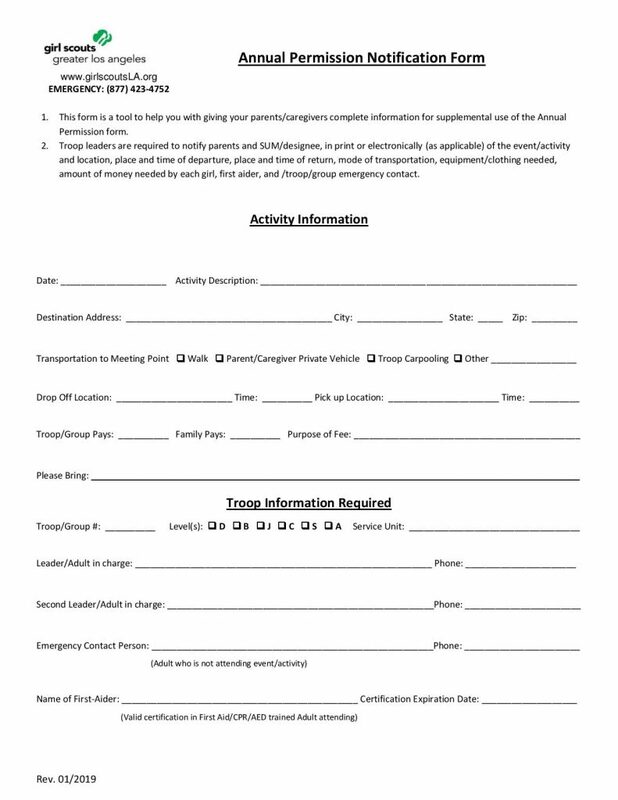 Keep this form for your troop records. Do not forward to the SUM. Must be filled out for each individual event. This form must be forwarded to the submitted to the SUM (permissionslip.cvgsu@gmail.com with the subject “XXXXX – Notification Form – “Name of Event”) BEFORE sending to parents. 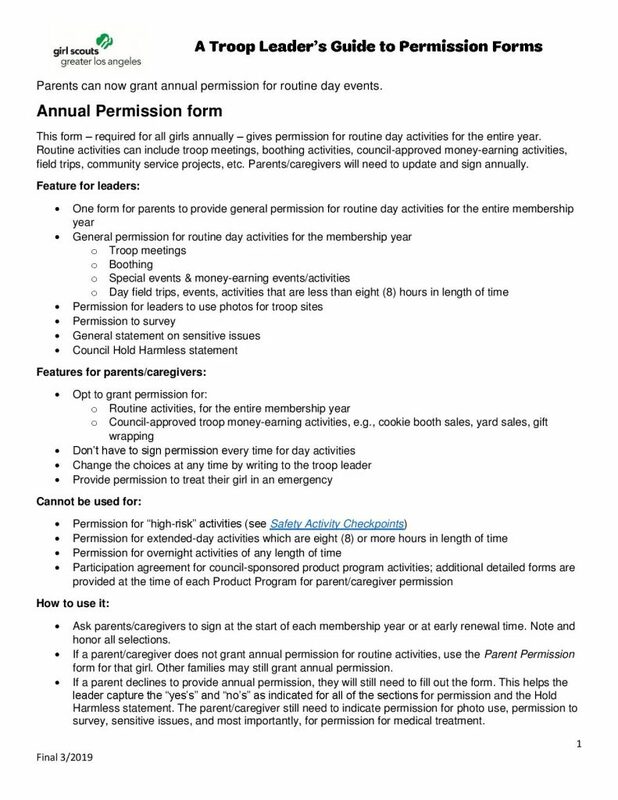 Known as “Written Notification” on the last page of the Leader’s Guide to Parent Permission Forms. 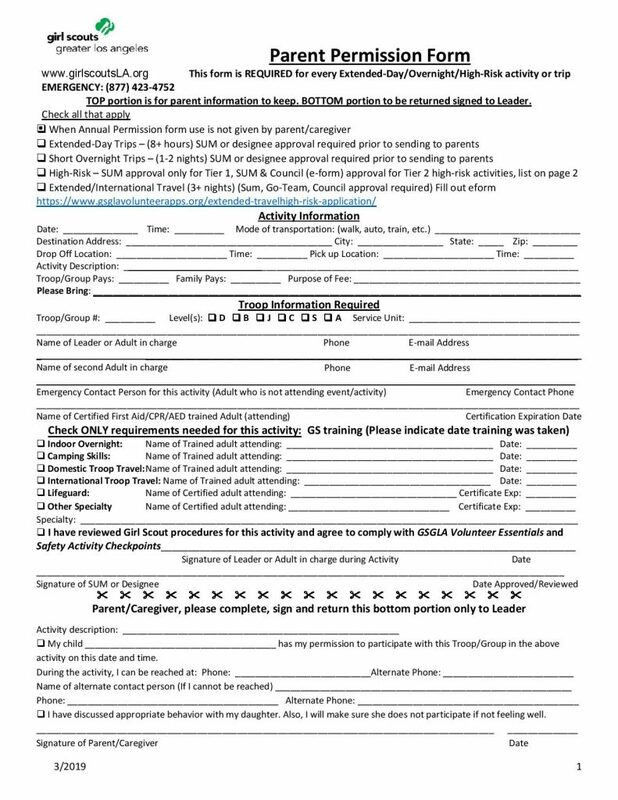 Must be filled out for Extended Day Trips, Short Overnights, High Risk Events, and Extended/International Travel OR when a parent refuses to sign the Annual Permission Form. 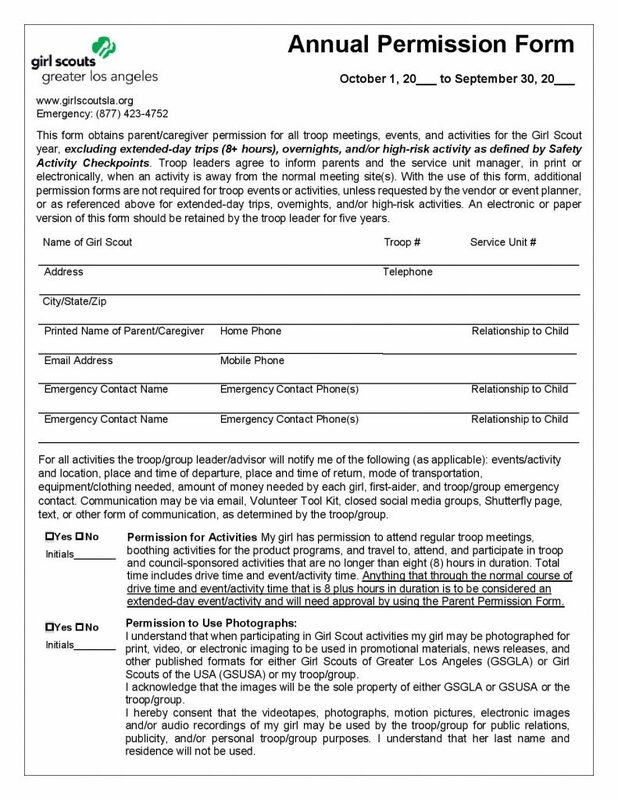 This form must be forwarded to the submitted to the SUM (permissionslip.cvgsu@gmail.com with the subject “XXXXX – Parent Permission Form – “Name of Event”) BEFORE sending to parents. Copyright © 2019 Crescenta Valley Girl Scouts Service Unit. All Rights Reserved. Website Design and Hosting by Caspian Services, Inc.